Adrien Rabiot's mother claimed the Paris Saint-Germain outcast is a "prisoner" at the club as she hit out at the Ligue 1 champions. 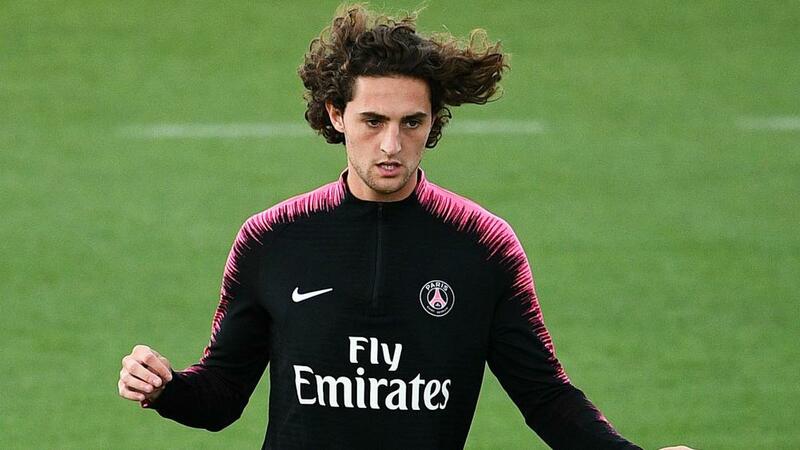 Rabiot has been frozen out of the PSG squad since mid-December after failing to agree a new contract, with the French midfielder set to leave at season's end amid reported interest from Tottenham, Barcelona, Bayern Munich and Arsenal. The 23-year-old was also criticised by PSG sporting director Antero Henrique for visiting a nightclub in the hours following the side's Champions League last-16 exit at the hands of Manchester United. And Rabiot's mother, Veronique, lashed out at PSG for their treatment of her son in the French capital. "I do not want to cry about it, or to weaken even more Adrien saying he is not good. We are attacking the human side here," she told L'Equipe. "We are modest. I can only tell you that he feels very badly [about] everything that happens. "Adrien is a prisoner. He is even held hostage by PSG. Soon it will be dry bread, water and dungeon! This environment is cruel..."
"Adrien trains, but I do not want to tell you where, with whom and how. But of course, he works out. He has to. A high-level footballer like him, who is not injured, cannot stay for 13 days without working out," she continued. "And since the access to Saint-Germain [Camp des Loges] is totally forbidden to him, it was necessary to organise." "I can already say that we blamed him for liking the wrong video," Veronique said. "This is not the one where Patrice Evra 'celebrates' the elimination of Paris. "And then, there is this nightclub outing... But PSG wants to take care of Adrien's private life too, when they don't even want him anymore! They want him to put on his pyjamas at nine o'clock, before the game, in front of his TV, to go to bed at eleven o'clock! These people do not know the rhythm of life of the players? "When a player plays, which is his job, he has a training rhythm. In this case, nothing happens for Adrien. Adrien is not going to take a pottery class until something happens. He must take care of himself, let him live!"